I often get asked for tips so with HOTH coming up next weekend and Equinox not far away thought I would get around to writing this blog post I have been drafting for ages. 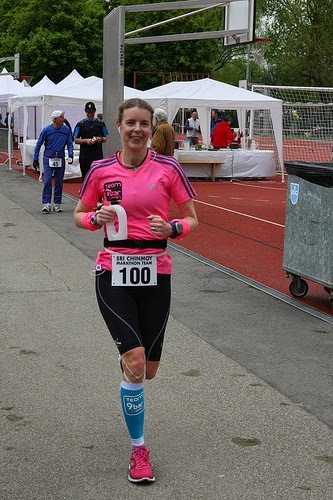 I have done 5 x 24 hour races with my best distance being 132miles/213km at Basel. All my races have been on a 400m track or 1km loop so I have not needed to carry anything. 1. Plan your race schedule several months in advance; try to do a longer ultra - I like to do between 50 miles and 12 hours a couple of months before if possible. Long runs in events are often easier than on your own so make use of local races. 2. The long run is the most important. Everyone is different in what they do; I like to do a few 40 mile training runs and some back to back weekends eg 30 miles Saturday 20 miles Sunday (races are handy for this) as training on tired legs is good for getting used to how the race will feel. 3. 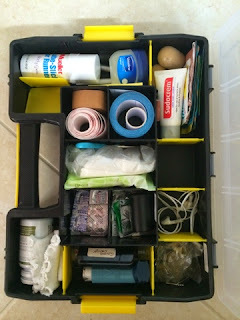 The long runs are not just for getting in the miles but also for testing kit/ shoes. Think about how you will be carrying things (if you need to carry anything) and test the backpack/ waistpack / water bottle to make sure you are comfortable with it. Consider the terrain then decide which sort of shoes you need. I usually test my shoes on a few long runs then put them away until the race so I know they still have plenty of cushion. They will be the shoes I start with but I tend to take a couple of spares in case of rain/ blisters. 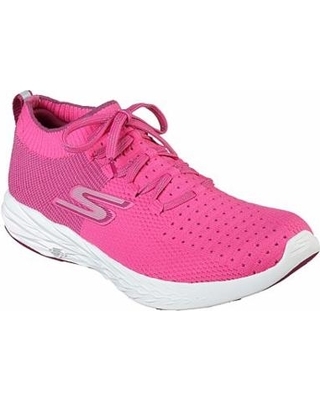 I have used Skechers Gorunride for my last few races. 4. Try lots of different food/ drink. Whilst you might know what you like and what works for a marathon, at 3am you might not fancy it but might not want to risk something new so try lots of things to make sure they don't upset you. After experimenting I have found I can't have dried fruit; oats or anything with a lot of dairy so that rules a lot of race foods out. 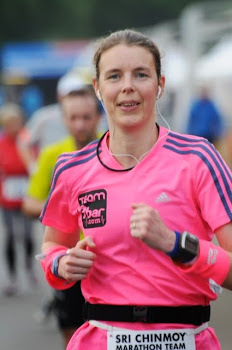 I would never eat crisps in a marathon but in 24 hour races I get through lots. 5. I do laps for my long training runs and set up a 'checkpoint' at home with lots of nice foods so I can have something nice to look forward to and don't have to carry too much. There is the temptation to stop when you end a loop but I have never done that yet. 6. Training on tired legs doesn't mean you have to do hundreds of miles. A way of doing this is to run to the gym, batter your legs in a body pump or spin class then run home. This is quite hard to begin with but gets easier. 7. It is likely you will be walking quite a lot. Some people walk very fast; if you are slow like me you could do some walk training to get faster and gain a few extra km over the 24 hours. 8. Multi task on runs! A lot of people say they don't have time to do many miles so run to jobs eg run to the bank / town do shopping and run home. Or if you have kids and need to drop them off for something and pick them up a hour or so later instead of going home stay there and go for a run. 9. Hills/ speed / core - all of these will make you stronger but they tend to get neglected. 1. Only the elites run the whole lot. Unless you are experienced then you are better to start your walks early on as that will delay the fatigue and the time before you get to the point where you can't run any more. I walk 5 mins per hour ( use this time to take on solid food) for about 4 hours then drop to 5 min every 45 minutes as I am then needing to eat more often and feel the need for a break sooner. I will keep this going as long as possible then drop to a walk every half hour and so on. If you are new then 25/5 is quite popular or if the course is hilly walk the hills but in an approx ratio of 25 mins run 5 mins walk. 2. Number belt - as you will probably be changing or adding layers a number belt (or some elastic) is a good idea. 3. Getting the food/ drink / electrolytes right has been my biggest challenge. For my first one I took on board advise to eat regularly and ate too much so then it was just sitting in my stomach not absorbing and making me feel sick. During another race it was not taking on enough electrolytes so my body was not able to properly absorb my food and again I felt sick. Everyone is different but out bodies can only absorb a certain amount per hour (200-300 calories on average) so any extra is just going to sit there, be of no use and maybe make you feel sick. Similar with fluid. If you drink too much it will slosh in your stomach. These are things to try out in training but what works in a marathon will not necessary work for longer races eg in a marathon I might drink about 500ml and have a couple of gels; if I do that for the first 26 miles of a 24 hour race whilst I might be OK up to that point beyond about 30 miles I think I would suffer for dehydration and not having enough fuel. This is why longer races are useful. 4. Struggling to eat. There is likely to come a time when you really do not want to eat. Either you feel sick or you are just bored with eating. But your body needs the fuel if you want to keep going. This is where things which don't require chewing come in. I have found chocolate soya milk is really good -it goes down easily and has a good amount of protein. Pouches of baby food/ fruit puree are also easy to eat as are gels (it's best to save the gels until later in the race as if you have had them early on you might be sick of them). A lot of people have rice pudding but I can't have that much diary. Marzipan melts in the mouth and you can just have a small amount at a time. Sweets are also good (my favourite are coconut mushrooms). When I was struggling with food I was able to get one down every few laps which isn't much but better than nothing. Finally, when feeling rough and sorry for yourself and not able to get in foot hot chocolate is comforting! 5. Variety - another food/ drink point! I always take far more food than I will need as I never know what I will fancy. I rarely have gels in ultras but in a recent 100km had 2 and would have had more if I had brought them. When it's hot I eat more crisps/savory. It's best to take more than you will need and have a choice. I tend to start off alternating with 9bars; powerbar protein bars; bananas. I keep that up for as long as possible (usually around 35-40 miles) as these foods have good nutritional value. Some events will offer a hot meal of pasta or rice which I have. I then start to feel the need for more treat type foods or variety so will have Jaffa cakes; funsize crunchie/bounty; crisps; chocolate soya milk with the occasional 9bar or banana. Then when I find food hard it will be the baby food, even more choc soya milk, sports drinks and sweets/marzipan. Often the aid station will have cake/ biscuits/ pretzels/ ritz crackers so I will have those sometimes. 6. It can get cold. Even if the forecast is good and doesn't look cold as you slow down your body will struggle to keep you warm. My first one was in May, there was a thermometer so I could see the temperature. At night I put a jacket on and come morning despite it being 20 degrees I was not warm enough to take it off. This is not always the case. In my last race I wore a vest throughout with no jacket / long sleeve needed even thought I had slowed a lot. So take plenty of clothes. Filling up bottles can take time so if possible have lots ready filled. 8. Targets. These are good to keep you motivated but you need to be flexible and have higher/ lower goals too in case things are going better/ worse than expected. For my first one I had 100 miles as my goal. When I got to 90 miles with enough to finish even if I crawled I sat down and cried as I was overcome with emotion and so tired. I eventually got up and dilly dallied around for a few more laps (1km laps) then had another sit down and another. I was going to hit my target so didn't really make any effort. When I got to 100 miles I stopped even though I had several hours left. I was fine with that at the time but a few days later regretted it and thought what if I hadn't sat down, hadn't wasted time in the last 10 miles and had used the whole 24 hours???? I should have had another higher target such as 105 miles (4 marathons) then 110 miles . Similarly, if things are not going so well it is easy to give up and just walk / sit down for long rests so lower targets are needed to keep you motivated and moving purposefully. 10. Its going to hurt but company of others can help. In my last race I got injured; running hurt too much so I walked a lot. Time passed so much quicker walking and chatting with others, there were so many amazing people doing my last race it was great to chat to them. Ibuprofen - if you are thinking of taking this make sure you read up on the risks of taking it whilst running before you do. Voltorol/ibuprofen gel might be a better option. Immodium - this is essential! Ginger - this is an anti inflammatory and is supposed to help with nausea. I took tablets during my last race; it was the first time I didn't have any stomach issues. Electrolytes - these can be in the form of tablets such as high5 zero which you add to drinks or as tablets. Love the Travis box, getting one of those. How did you take turmeric, powder, tablet, vindaloo?